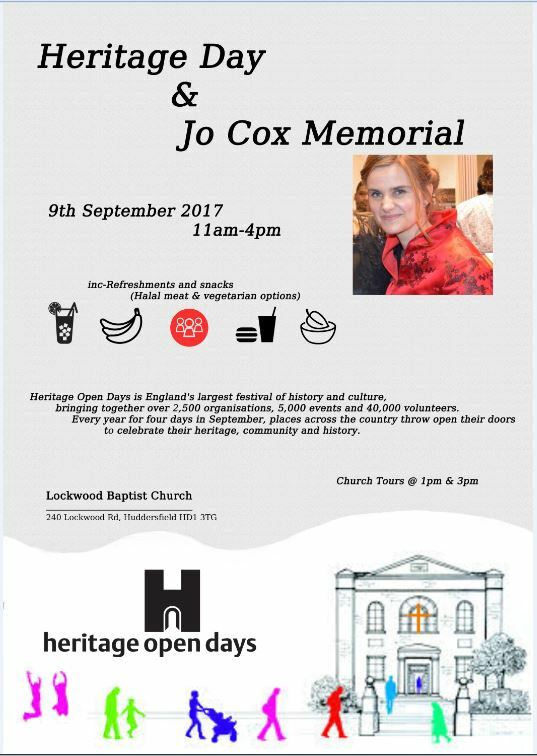 Lockwood Baptist’s National Jo Cox Memorial Day was postponed in June, due to respect for our Muslim neighbours, who were fasting during their Holy Month of Ramadan and would not have been able to share in our BBQ. Descendants of Belgium refugees given hospitality by Lockwood Baptist during WW2 will hopefully be visiting to see the memorial plaque in the church to their relatives. Come and find out about this church during the tour of our restored Grade 2 listed building. Come and find out about life and death in Lockwood during the Victorian era, by joining one of the tours of the garden and gravestones. Or just come and wander around in your own time.